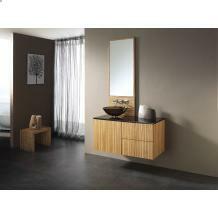 This sleek and simple Zebra vanity will be perfect for your contemporary decor! Ships in 3-5 days. Delivery estimate: 2-4 weeks.